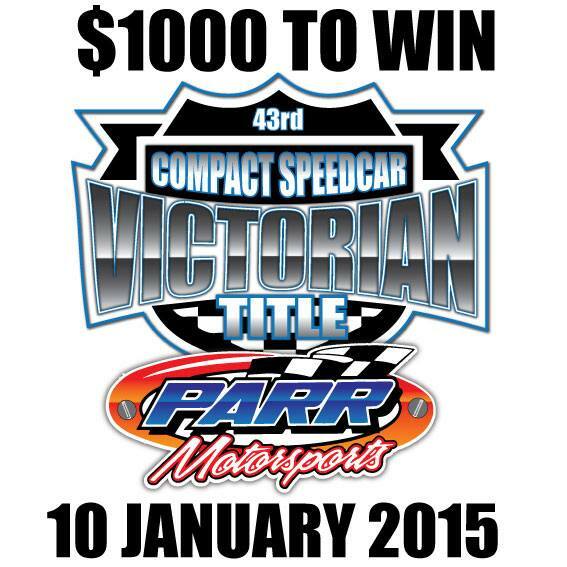 The Victorian Title is fast approaching and the Victorian Compact Speedcar Club is proud to announce that Parr Motorsports has come on board as the naming rights sponsor for a second year. Parr Motorsports is a Melbourne-based supplier of race parts servicing most speedway divisions. The Wangaratta club have put a new surface onto the track which has proved to be a lot tackier than the recent surface which should help make for great racing. With the close off date for entering coming up on 12 December it is important to get your nominations in ASAP. 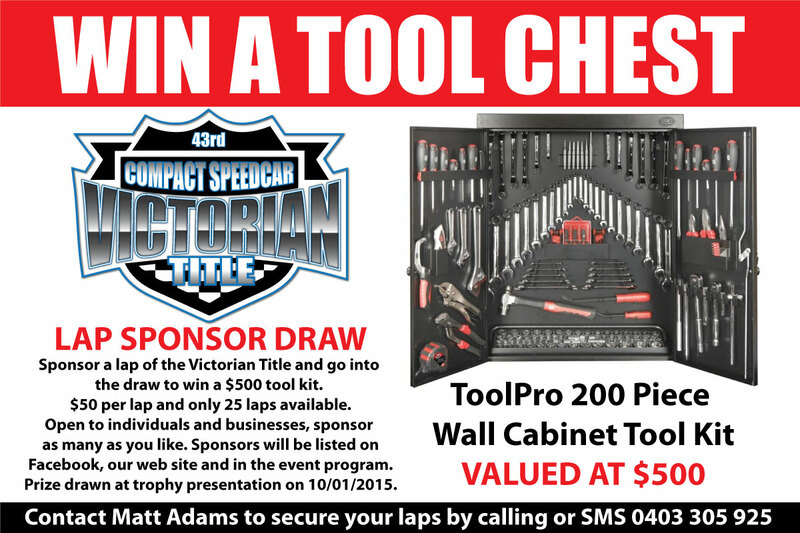 There are still a number of places left in our lap sponsor draw for a wall mounted tool chest. Just $50 gets you a 1 in 25 chance of winning the chest and helps support the event. Contact Matthew Adams 0403 305 925 to arrange your chance.